ALLDOCUBE KNote 5 2 in 1 Tablet PC 11.6 inch is a perfect Tablet PC for your daily use. Equipped with a 11.6 inch 1920 x 1080 IPS screen, brings your photos and videos to life. Windows 10 OS ensures you more wonderful user experience. Powered by Intel Gemini Lake N4000 Quad Core processor, offers you smooth operation and stable multitasking experience. 2.0MP camera for capturing memorable moments and high quality pictures in daily life. Featuring Intel HD Graphics 600 GPU, all of this give gamers a full suite for gaming dominance and offer gamers a truly seamless gaming experience. Dual band 2.4GHz / 5.0GHz WiFi supported, ensures you high-speed surfing. Want to be notified when the ALLDOCUBE KNote 5 2 in 1 Tablet PC 4GB RAM 128GB ROM With Keyboard gets even cheaper? Make sure you snag the best price by entering your email below. We'll email you when the price drops, free! We're tracking the price of the ALLDOCUBE KNote 5 2 in 1 Tablet PC 4GB RAM 128GB ROM With Keyboard every day so you know if that deal is really a steal! Check back for to check the best price for this product - and whether its current sale price is really the cheapest it's been! 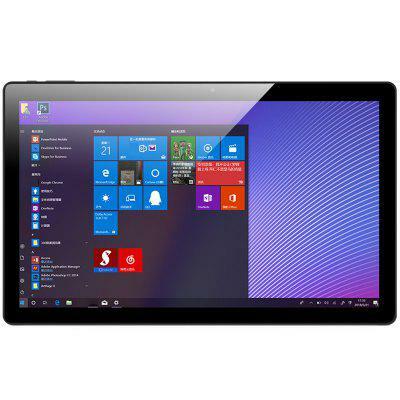 No ALLDOCUBE KNote 5 2 in 1 Tablet PC 4GB RAM 128GB ROM With Keyboard coupons found!